- applicant must have vision correctable to 20/20 in the better eye and 20/30 in the lesser eye. Applicants wearing eyeglasses or hard contacts must have uncorrected vision no worse than 20/200 in each eye. Applicants wearing soft contacts must be able to: provide verifiable documentation that soft contacts have been worn regularly for at least one (1) year prior to application, meets minimum vision acuity standards with soft contact lenses, and there are no indications of corneal damage, or conditions of the eye which might require discontinuation of soft contact use. 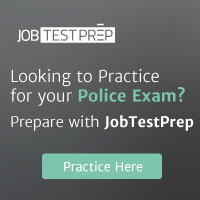 To schedule testing go to: www.NationalTestingNetwork.com and click on Law Enforcement Jobs. Select the department and read over all the requirements and if qualified, select a testing location and a time and date for testing on the website calendar. If you have any questions, please call us at 425-423-9922 or 866-563-3882.